Order today and save $5! 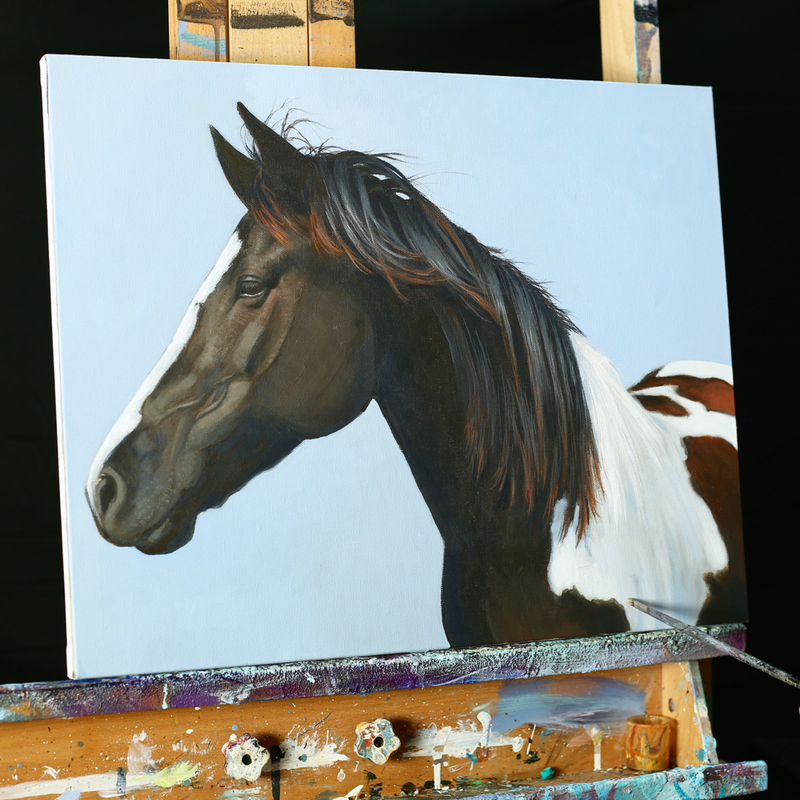 In this lesson you’ll learn how to paint a realistic horse from start to finish. We will use the grid method in order to create an accurate sketch to paint from. From there we will layer the paint slowly to get smooth transitions for our values, but at the same time staying loose with our brush strokes. This lesson is a little bit longer, and takes you through a lot of detail. It is about a 3 hour lesson. We use a very limited color palette to keep our color harmonies strong and working well together. This is a great lesson for anyone who wants to learn how to get accurate proportions without having to have a lot of drawing experience. Proportion is the foundation for all realistic paintings. Two reference photos included. One with a grid already placed on the image, and cropped to 16 X 20, and one without the grid.